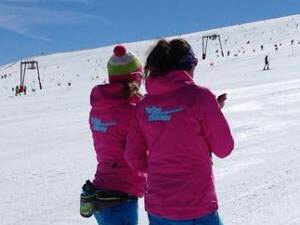 This is a 7 week training programme based in Les Deux Alpes with the option to add on race training to the end. You will spend 5 long mornings a week on snow and have video analysis, theory and activities (see our activities page for more information) in the afternoons/evening. During week one we will be allowing you to ski, helping you to improve in all the strands of skiing and improving your understanding of the steering elements and movements required to make “the perfect turn” in any conditions. We will also look at the Central Theme (Beginners progression) so that you are up to date and ready for your first BASI exam week. This is your first assessment week of the course, it is continued assessment throughout the week with training and support given by the BASI Trainer. TipTop Coaching will of course be on hand all week to help in any way they can! Please note any students failing this exam will need to take a re-assessment (at their own cost) before the Level 2 exam. TipTop will help with the organisation of this and can offer extra coaching at weekends on specific areas as required. These weeks will be spent ensuring your skiing and teaching are up to standard. You will ski with a coach working on all 4 strands and the central theme and you will be asked to deliver and give peer feedback on lessons. We will give you continued constructive feedback and support to improve day by day. There will be extra sessions (payable) available on a Sunday should you feel you need them. You will also be asked to shadow some lessons during this time with other ski schools. This will be a range of ability level lessons to give you a full understanding of what actually happens during lesson time. This is the second part of the Assessment. It is continued assessment throughout the week with training and support given by the BASI Trainer. TipTop Coaching will of course be on hand all week to help in any way they can! During the weekend TipTop Coaches will be available to help with any extra bits of training on either the skiing or teaching side but recommend you have at least one day off skis to ensure you are fresh for the second week of the exam.